KIBERA, Kenya–Mildred Lunani knew that if she stayed in her village in Western Kenya she could pretty much count on a life of poverty. So, like the 200,000 people around the world who move to cities from rural areas every day, she came to the capitol in search of opportunity. 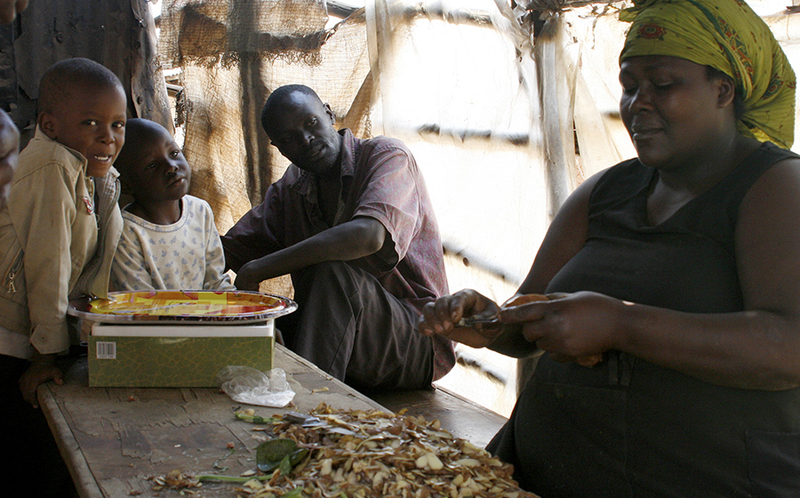 She found that opportunity in Kibera, the slum that her and her family now call home. She opened up The District Commissioner’s Restaurant, a small place named after the police station next door. Equipped with a window for take out food and a few rickety wooden tables, she offers donuts, samosas and sodas to the flood of people passing by on their way in and out of Kibera each day. Lunani was also trained as a community health worker by an NGO in Kibera and spends several days a week working to spread awareness about HIV and AIDS. “Kibera is a good place. 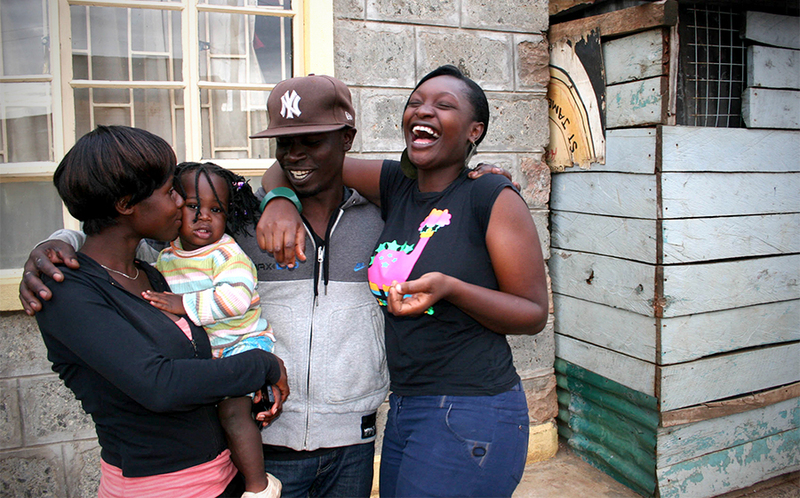 The community, the people, my neighbors, they mean a lot to me, I love that part of Kibera,” she told me. “But the housing, some of the housing isn’t fit for humans. 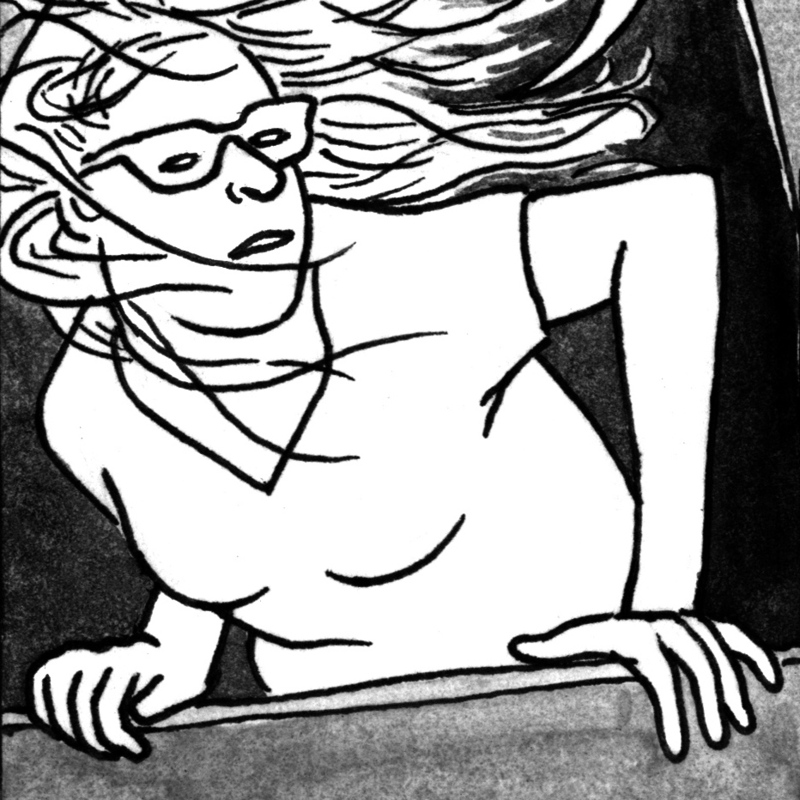 The toilets, the water?” She shook her head in disgust. In 2009, Mildred learned of an opportunity to move her family out of Kibera’s substandard housing: The Kenya Slum Upgrading Project (KENSUP) launched by the Kenyan Ministry of Housing with the support of UN-Habitat and several other donor organizations. The flagship of KENSUP rises up behind Kibera, a goliath multi-storied concrete building called “The Promised Land” by local residents. The apartments inside are heavily subsidized and provide the formalized services that slums lack like water, sanitation and electricity. Lunani and her family now call the building home, at least in the short term. The building is a “decanting site”, temporary residence until more permanent housing is completed in Soweto East, a neighborhood in Kibera. Governments around the world have struggled with how to tackle the problems that slums present, with mixed results. In China, the government was criticized for human rights abuses when it bulldozed millions of slum dweller’s homes in preparation for the 2008 Olympics in Beijing. In 2009, the Indian government announced a wildly unrealistic plan to make a “slum-free India within five years” through the aggressive construction of low-income housing. In Thailand, the government backed an innovative program called Baan Mankong, often pointed to as a rare slum upgrading success. As part of the program, residents were given infrastructure subsidies and loans to improve their own housing. But from the launch of the project in 2003, there has been a nagging problem. Residents who were relocated to The Promised Land began leaving their new homes and moving back into Kibera. 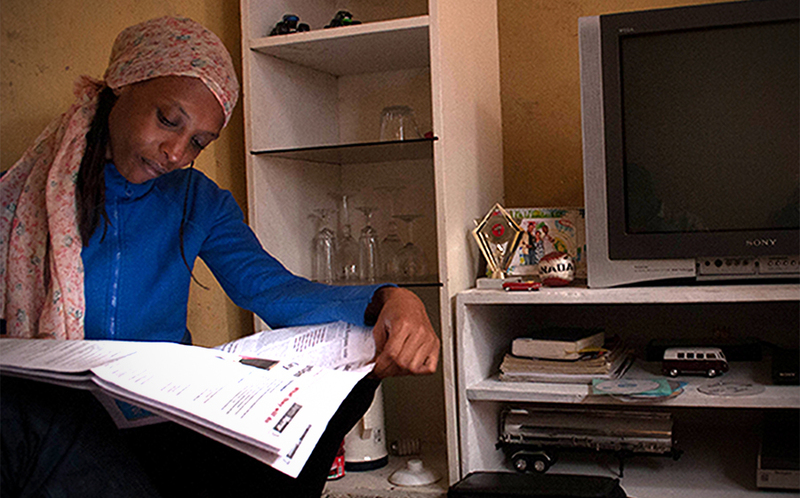 Nairobi’s middle class swooped in, searching for affordable housing in a city with skyrocketing rents. Many secured apartments in the new buildings through the informal systems of bribery that dictates a great deal of life in Kenya. And many Kibera residents who were given apartments through the program saw a business opportunity and rented their flats to middle class tenants at four and five times the subsidized rate. Then they moved back to the slum with extra money in their pocket. Other residents said they were frustrated by the unreliable services in the new apartments and flat out left. Lunani hasn’t had water in her house for three weeks. Ironically, some are moving back into the slum for better water and sanitation. 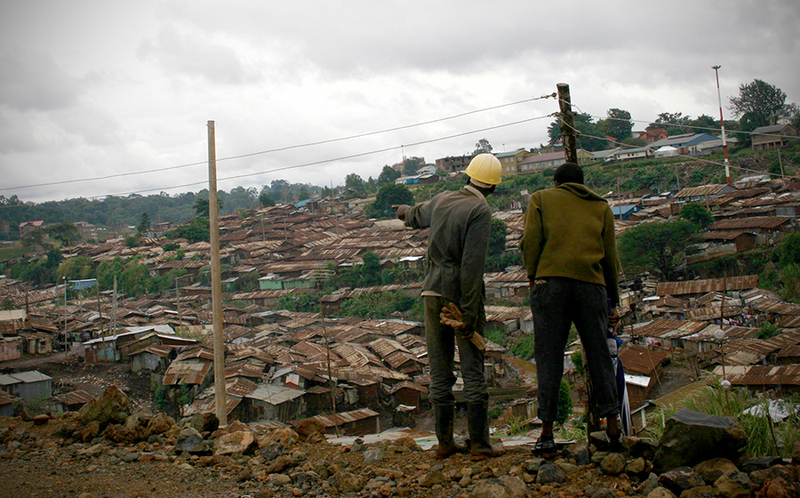 There is a great deal of mistrust of the government and development organizations in Kibera. A history of failed aid projects and forced evictions have left many residents feeling exploited by outsiders. “I’ve heard it a million times, it easy to build houses, it’s a lot harder to build trust,” said Cynthia Smith, the Curator for Socially Responsible design at the Smithsonian Cooper-Hewitt, the National Design Museum. From her research on slums in fifteen cities around the world she found that one of the keys to success is improve conditions where slum-dwellers already live, like the Baan Mankong project did in Thailand. “There’s so much social cohesion that takes place in these settlements, the best solutions are the ones where an organization working with the government finds a way to keep people in their location and improve the conditions,” Smith said. 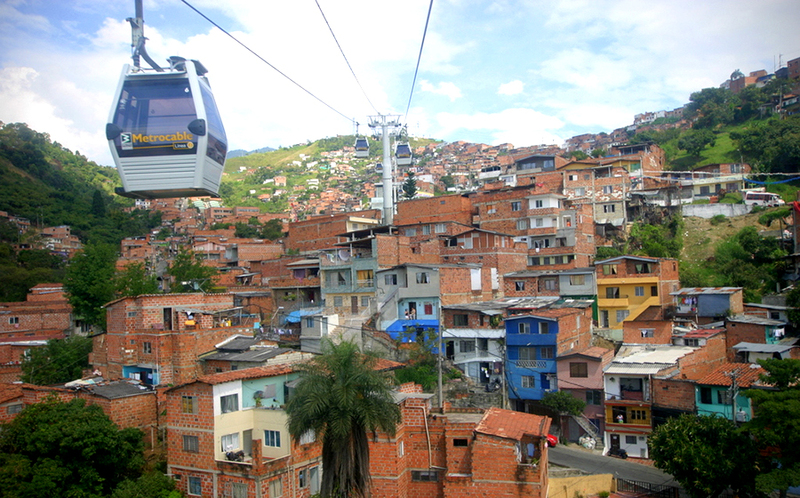 One of the most successful projects she saw was in Medellin, Columbia where the government improved public transportation to the slums and upgraded their existing infrastructure. Though a great deal remains to be done, the city has seen its once sky high murder rates reduce drastically. Naomi Barasa, a campaign organizer at Amnesty International, which conducted a review of the project in Nairobi, believes the KENSUP slum upgrade is a step in the right direction. But she admits that the project is not perfect. “I think according to the government it is successful, but especially according to those of us in the human rights community, there are some issues,” she said. 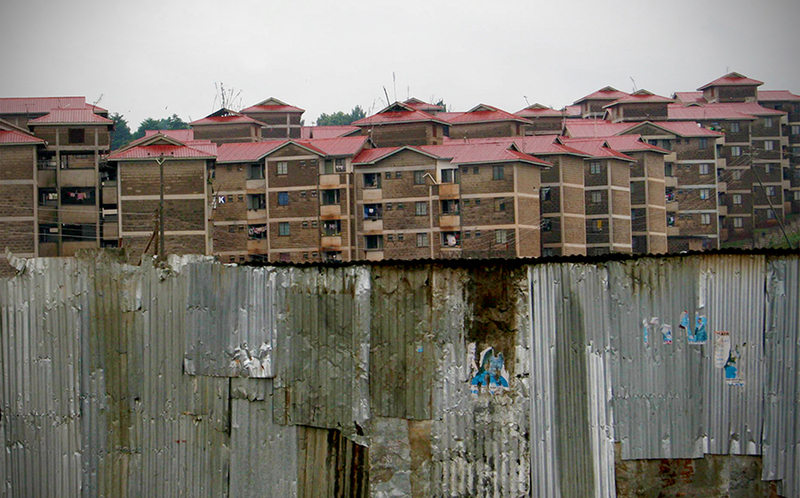 Barasa sees the lack of genuine citizen participation in the process as one of its biggest failures, leading to housing that doesn’t meet residents’ needs and isn’t culturally appropriate. The pace is also painfully slow. The first stage of the project was meant to upgrade a tiny fraction of the slum, but after almost a decade, it’s still not complete. Meanwhile, Lunani says she’s just waiting to hear if and when they will be moving into their permanent housing. Each day she leaves her new home early in the morning and walks back into Kibera. She opens her restaurant and then makes her rounds as a community health worker. At the end of each day, she picks up her groceries in the slum, where they are much cheaper than in The Promised Land, and makes the long walk back to the new development. She even spends her weekends in her old neighborhood, visiting her friends and neighbors who still live there. While she doesn’t miss the housing, she does miss that part of life in Kibera. She’s lived in her new housing for three years and doesn’t know any of her neighbors. 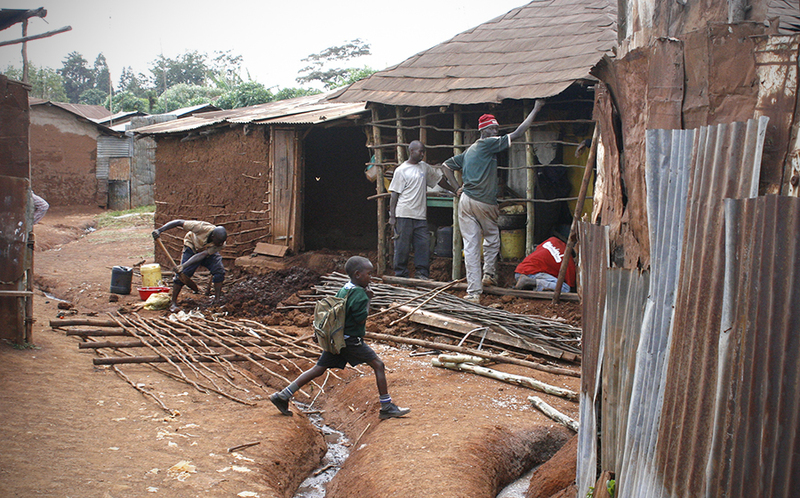 High crime rates, the lack of sanitation and the poor housing are a constant struggle for Kibera residents. But Lunani’s experience points to the intangible value of the community in the slum. 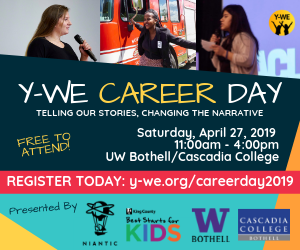 The social networks, the business, the employment opportunities and the low cost of living attracts new residents, despite the harsh circumstances. At the pace KENSUP is going, it’s hard to believe that the planned upgrade of the entire slum will ever be complete. But it’s harder still to imagine that Kibera residents like Lunani will ever feel at home in the monochrome, concrete stacks of The Promised Land. 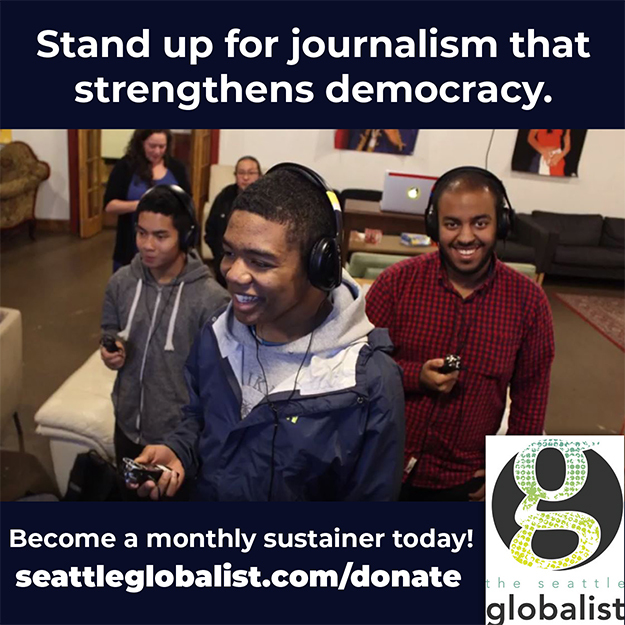 The Slum Rising project was funded by The Seattle Globalist using the online fundraising website Kickstarter. If you had the billions of money to solve slums what would you do?